Published on February 5, 2019 in Daily Dirt and National. Closed Tags: AEM, asphalt, Association of Equipment Manufacturers, bridges, concrete, construction, construction industry, contractors, economy, employment, equipment, Federal Highway Administration (FHWA), Federal Highway Trust Fund, gas tax, heavy equipment, high-speed rail, Highway Bill, highways, infrastructure, Interstate Highway System, jobs, pavement, roads, safety, transportation, unemployment. In addition to 1.3 million good-paying jobs supported by equipment manufacturers in all 50 states, the industry also contributes $158 billion year to the U.S. economy. Infrastructure is the backbone of America’s economy. To have the strongest, most resilient economy in the world, America must have the best infrastructure in the world. That is why AEM is urging policymakers to pass comprehensive legislation to rebuild our infrastructure, create good-paying jobs, grow our economy, and help reclaim our infrastructure advantage. AEM believes that the federal government must continue to maintain a strong role in funding U.S. infrastructure construction, maintenance, and modernization. This includes providing a long-term and sustainable funding mechanism for the Highway Trust Fund, connecting urban and rural America, ensuring that projects are delivered in a cost-effective and time-efficient manner, providing job training programs for the workforce, and maximizing the use of smart technology. On January 25, AEM began a two-week public affairs campaign titled “Start with Infrastructure.” The campaign’s goal is to demonstrate the wide-ranging benefits of infrastructure investment to the nation’s economy and keep infrastructure at the top of policymakers’ lists to take action on in 2019. The campaign features digital and social advertisements in the Washington, D.C. media market. AEM is also hosting a town hall discussion on the “Prospects for Infrastructure in the 116th Congress” with members of Congress and business leaders at the Newseum this Friday, February 8. A live stream of the event will be available at www.twitter.com/imakeamerica. With about 30 percent of equipment made in the United States destined for export, it’s important that the Trump administration and Congress support pro-growth trade policies that keep U.S. equipment manufacturing competitive in an increasingly competitive global market. Tariffs artificially raise the cost of domestic production, eliminate export markets for U.S. equipment manufacturers, and risk wiping out many of the benefits of tax reform. While other countries’ unfair trade practices must be addressed, taxing American consumers and businesses will not solve the underlying problems. In addition, the retaliatory tariffs put into place by China significantly hurts U.S. farmers and the broader agriculture economy, further threatening to reduce the domestic sales of agriculture equipment. In 2019, AEM will continue to urge the Trump administration and Congress to promote free and fair trade through the successful ratification of the U.S. Mexico Canada Agreement (USMCA), and launch negotiations with other trade partners to create improved market access for U.S. manufactured goods and services, and find a long-term solution to the ongoing trade dispute with China. AEM members have regularly spoken out against the tariffs and AEM joined the free trade coalition “Americans for Free Trade” as an executive member last year along with more than 80 of the nation’s leading trade associations and businesses. A strong farm economy not only assists farmers and ranchers but also helps protect the 320,000 agriculture equipment manufacturing jobs across the United States. That is why AEM wants the U.S. Department of Agriculture to implement the 2018 Farm Bill quickly. It’s also why AEM wants the Trump administration and Congress to expand rural broadband coverage and expects the U.S. Environmental Protection Agency (EPA) to follow the Renewable Fuel Standard (RFS) law as written and allowing year-round sales of E15. In 2019, AEM will also work with the EPA to expand its understanding of the full range of Drift Reduction Technology (DRT) and improving the DRT program so it achieves its intended purpose. 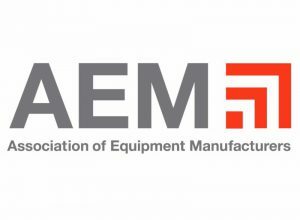 AEM led the equipment manufacturing industry’s efforts to reform our outdated tax code and secured many of the changes in the Tax Cuts and Jobs Act that President Trump signed into law in 2017. While the final bill was not perfect, it represented the kind of comprehensive and permanent tax reform that will tilt the playing field back in favor of equipment manufacturers in the United States. AEM supports all efforts to make the new tax code even stronger for equipment manufacturers, including making permanent full expensing for short-life investments, the deduction for qualified business income, and 100 percent bonus depreciation, as well as making the Base Erosion and Anti-Abuse Tax (BEAT) a true alternative minimum tax. For more information about AEM’s top advocacy positions, please visit www.aem.org/advocacy. AEM is the North American-based international trade group representing off-road equipment manufacturers and suppliers, with more than 1,000 companies and more than 200 product lines in the agriculture and construction-related industry sectors worldwide. The equipment manufacturing industry supports 1.3 million jobs in the U.S., and 149,000 more in Canada. Equipment manufacturers also contribute $188 billion combined to the U.S. and Canadian economies. AEM is celebrating its 125th anniversary in 2019. Published on July 25, 2018 in Daily Dirt and Industry Activities. Closed Tags: American Road & Transportation Builders Association, ARTBA, ARTBA Foundation, construction, construction industry, contractors, high-speed rail, highways, infrastructure, pavement, roads, safety, transportation. The Women Leaders in Transportation Design and Construction Awards honor “extraordinary efforts of individuals, companies and public agencies that have demonstrated leadership and dedication to innovation in the transportation construction field as well as the promotion of women leaders within the industry. To submit a nomination, or to find out more about the awards, visit the scholarship & awards section of the ARTBA-TDF website. Senior VP/ Strategic Engagement Allison Klein202.683.1036. Media Relations Manager Eileen Houlihan 202.683.1019. The “Ethel S. Birchland Lifetime Achievement Award“Named after Ethel S. Birchland, who served as ARTBA’s executive director from 1924 to 1928, this award is given to at least one woman who has demonstrated outstanding leadership and long-term service in the transportation design and construction industry’s public or private sectors. Particular focus is given to the individual’s dedication to the advancement of innovation and other women leaders. Given annually to at least one company in the transportation construction industry that has innovative programs and activities directed at successfully promoting women leaders within their organization. Extra credit is given to those firms that also promote women leadership within the associations and community organizations they financially support. The “Future Industry Spotlight Award”Self-nominations are preferred for this category. The award is given annually to bring national industry attention to two women students enrolled in undergraduate or graduate studies at a U.S. college or university who have thus far achieved an outstanding academic record and demonstrated extraordinary leadership skills within and outside the academic environment. Candidates may be pursuing a degree in any discipline germane to the business of transportation design and construction. Published on July 18, 2018 in Daily Dirt and National. Closed Tags: American Road & Transportation Builders Association, ARTBA, asphalt, bridges, concrete, construction, construction industry, contractors, economy, employment, equipment, Federal Highway Administration (FHWA), Federal Highway Trust Fund, gas tax, high-speed rail, infrastructure, Interstate Highway System, jobs, pavement, Pete Ruane, roads, safety, transportation, trucks. The “death” of the Trump infrastructure package has been widely pronounced by the chattering class. The obituary writers have, however, missed the important reality that the underlying goals of the initiative are in fact moving forward. A significant component of the administration’s infrastructure plan is to remove regulatory burdens and hurdles hindering the delivery of transportation and other infrastructure projects. This part of the president’s agenda is surging full steam ahead. President Trump signed an Executive Order (EO) last August calling for a two-year permitting deadline. The EO establishes a goal of identifying one federal agency to be the point of contact for each project’s regulatory approval instead of the dysfunctional agency hopping project sponsors currently suffer from the status quo. The president also directed all federal agencies to establish task forces to identify regulations in need of modification or outright repeal. These developments may not earn national headlines, but they are certainly meaningful to the transportation construction industry. While the president has acknowledged his $1.5 trillion infrastructure investment plan—that relies primarily on non-federal resources and financing—is not likely to advance during 2018, Republicans and Democrats continue to demonstrate they support increased infrastructure investment. The FY 2018 appropriations process—finalized in March—delivered a total of $6.5 billion in federal transportation investment above already authorized amounts. The biggest winner of this boost was the federal highway program, which received $2.5 billion on top of the $900 million increase directed by the 2015 FAST Act. Airport infrastructure, public transportation, and intermodal grants also received significant increases. The House and Senate are currently working on FY 2019 transportation funding bills that continue this trend. The House is proposing an additional $4.25 billion in highway investment, and the Senate is pushing for $3.3 billion on top of the FAST Act’s $1 billion bump. Both proposals again would provide additional resources for transit, airport and other transportation improvements totaling almost $7 billion. The boosts stem from a two-year budget agreement reached between bipartisan leaders of the House and Senate and President Trump in February that, among other things, calls for a minimum of $10 billion a year additionally in FY 2018 and 2019 for infrastructure investments. Congress is also expected to approve a multi-year reauthorization of the federal aviation programs by the end of this year. Both the House and Senate proposals would authorize increased airport infrastructure investments. The good news is that this is real growth in federal transportation investment, which has been largely absent since the 2009 stimulus law. The bad news is that without some additional action by Congress and the Trump administration, transportation funding levels will fall back to authorized levels in FY 2020. Furthermore, 2020 is the last year the FAST Act’s general fund transfers will be supplementing existing Highway Trust Fund revenues. That means we are looking at one of three outcomes: highway and transit spending cuts of an estimated 40 percent; more budget gimmicks; or a real trust fund revenue fix. The opportunity to secure additional transportation infrastructure investment this year, along with the pressing need to permanently resolve the Highway Trust Fund’s revenue deficit argues for continued pressure. Anyone who tells you nothing is going to happen in 2018 needs to know the real story and consequences of sitting out the coming months. Published on June 28, 2017 in Daily Dirt and Industry Activities. Closed Tags: 2017 Infrastructure Report Card, AEM, American Society of Civil Engineers (ASCE), asphalt, Bloomberg Government NEXT Infrastructure conference, bridges, Building America’s Future Educational Fund, concrete, construction, construction industry, contractors, economy, Federal Highway Administration (FHWA), gas tax, heavy equipment, high-speed rail, infrastructure, Interstate Highway System, jobs, pavement, roads, safety, Topcon, Topcon Positioning Systems Inc., transportation. Our infrastructure is critical to the future of our country. Recently American Society of Civil Engineers (ASCE) publicized its 2017 Infrastructure Report Card. To review the 2017 ASCE Infrastructure, which earned a D+ you can click here. The infrastructure is critical to everyone without exception. We depend on it for not only transportation but also everything we eat, drink, wear; going to work, going to dinner; going to the doctor, the hospital or emergency rooms, getting our children to school to the movies or the playground. Pay attention to local, state and national infrastructure issues and the proposed legislation that attempts to address some of the more critical issues. And the next time you hit a pothole think of the damage being done to the tires, rim, suspension and undercarriage of your care. Ray O’Connor, President and CEO of Topcon Positioning Systems represented AEM at Bloomberg Government NEXT Infrastructure conference in Washington D.C. last week. He spoke with Marcia Hale, president, Building America’s Future Educational Fund, in the Smart Infrastructure and Global Advantage segment of the conference. 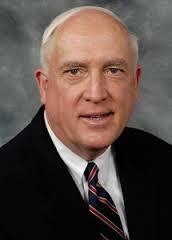 Dennis Slater, President and Secretary of the Association of Equipment Manufacturers (AEM), made the opening remarks. It’s our infrastructure. Think of it this way, the better the infrastructure the safer our world. Published on April 26, 2017 in Daily Dirt and National. Closed Tags: About Dodge Data & Analytics, asphalt, bridges, concrete, construction, construction industry, contractors, economy, employment, equipment, excavators, Federal Highway Administration (FHWA), heavy equipment, high-speed rail, infrastructure, Interstate Highway System, jobs, Nonbuilding construction, Nonresidential building, pavement, residential building, roads, safety, transportation, unemployment. New construction starts in March increased 5% to a seasonally adjusted annual rate of $743.7 billion, marking the third straight monthly gain, according to Dodge Data & Analytics. The total construction growth in March was led by the nonbuilding construction sector, and particularly by public works which featured the start of two large pipeline projects – the $4.2 billion Rover natural gas pipeline in Ohio and Michigan, and the $2.5 billion Mariner East 2 propane and natural gas liquids pipeline in Pennsylvania. Residential building in March registered moderate growth, helped by a rebound for multifamily housing after a subdued February. Nonresidential building in March held steady with its February pace, as strong activity for office buildings and airport terminals offset a steep drop for manufacturing plants. Through the first three months of 2017, total construction starts on an unadjusted basis were $160.1 billion, down 3% from the same period a year ago (which included heightened activity for manufacturing plants and electric utilities/gas plants). If the often volatile manufacturing plant and electric utility/gas plant categories are excluded, total construction starts during the first three months of 2017 would be up 8% relative to last year. The March data produced a reading of 157 for the Dodge Index (2000=100), compared to 149 in February and 147 in January. After sliding to a weak 129 in December, the Dodge Index over the next three months bounced back 22%. On a quarterly basis, the Dodge Index averaged 151 during this year’s January-March period, up 9% compared to the 139 average for the fourth quarter of 2016. “The pattern for construction starts in early 2017, with three straight monthly gains, is the reverse of the three straight monthly declines that closed out 2016,” noted Robert A. Murray, chief economist for Dodge Data & Analytics. Nonbuilding construction in March jumped 16% to $195.7 billion (annual rate), following its 35% hike in February. The public works sector surged 33%, reflecting an 82% increase in March for the miscellaneous public works category that includes such diverse project types as site work, pipelines, mass transit, and outdoor sports stadiums. The $4.2 billion Rover natural gas pipeline was included as a construction start in March, and is located mostly in Ohio and Michigan with smaller portions in West Virginia and Pennsylvania. Also reported as a March start was the $2.5 billion Mariner East 2 Pipeline, located mostly in Pennsylvania with smaller portions in West Virginia and Ohio, which will transport propane and other natural gas liquids from the Marcellus Shale natural gas fields in southwestern Pennsylvania to a processing and distribution facility near Philadelphia. The start of a $300 million stadium in Washington DC for the DC United soccer team also contributed to the substantial March increase for miscellaneous public works. Highway and bridge construction in March edged up 1%, essentially holding at the improved volume achieved with its 38% jump in February. Large highway and bridge projects entered as March construction starts were a $399 million bridge replacement in the Pensacola FL area, the $266 million Sixth Street Viaduct replacement in Los Angeles CA, and a $192 million highway expansion project in San Antonio TX. River/harbor development in March advanced 32% from its lackluster February amount, while sewer construction was unchanged and water supply construction slipped 2%. The electric utility/gas plant category in March retreated 54%, although it did include as construction starts a $300 million wind farm in Ohio and a $175 million solar farm in Virginia. Residential building, at $310.8 billion (annual rate), grew 4% in March. Multifamily housing provided the upward push, rebounding 26% after a 23% setback in February. There were six multifamily projects valued at $100 million or more that reached groundbreaking in March, led by a $200 million apartment building in Washington DC and a $150 million apartment building in New York NY. Through the first three months of 2017, the top five metropolitan areas in terms of the dollar amount of multifamily starts were the following – New York NY, Los Angeles CA, Washington DC, Chicago IL, and Atlanta GA. During this period, the New York NY metropolitan area accounted for 18% of the national multifamily total, up slightly from the 17% share for full year 2016 but down from the 25% share for full year 2015. Single family housing in March receded 3%, which followed modest improvement reported during the previous five months. By region, single family housing in March showed this pattern – the Midwest, down 9%; the West and South Central, each down 3%; and the South Atlantic, down 2%; while the Northeast ran counter with a 3% gain. Nonresidential building in March, at $237.2 billion (annual rate), was essentially unchanged from its February pace. The institutional side of the nonresidential building market grew 3% in March, with much of the support coming from an 83% surge for the transportation terminal category. Large airport terminals that were reported as March starts included two at Los Angeles International Airport – the $1.9 billion Delta relocation to Terminals 2 and 3 and the $961 million Midfield Satellite Concourse North (phase 1). Also entered as a March start was the $110 million Terminal 2 modernization at Fort Lauderdale-Hollywood International Airport. Through the first three months of 2017, the dollar amount of new airport terminal projects was $9.0 billion (including the $3.4 billion Central Terminal Building at New York’s LaGuardia Airport), easily topping the $3.7 billion in new airport terminal starts for full year 2016. Healthcare facilities in March increased 13%, aided by the start of these large projects – the $265 million Methodist University Hospital in Memphis TN and the $230 million North Alabama Medical Center in Florence AL. Also strengthening in March were religious buildings, up 9%; and public buildings (courthouses and detention centers), up 4%. On the negative side, educational facilities in March dropped 14% after February’s 11% gain, although March did include these noteworthy projects as construction starts – a $289 million research institute building in Seattle WA, a $170 million library and classroom facility at Temple University in Philadelphia PA, and a $138 million science building renovation at the University of Virginia in Charlottesville VA. Also retreating in March was the amusement and recreational category, which fell 29%. The commercial side of the nonresidential building market increased 7% in March, showing improvement after a 10% drop in February. Office construction climbed 41%, lifted by the start of five projects valued each in excess of $100 million. These were led by the $525 million East Campus Building 2 at the U.S. Army installation at Fort Meade MD, the $289 million LG corporate headquarters in Englewood Cliffs NJ, and a $228 million office building in Seattle WA. Commercial garages also advanced in March, rising 12%. In contrast, March witnessed declines for hotels, down 7%; stores and shopping centers, down 8%; and warehouses, down 14%. The manufacturing plant category in March plunged 65%, after being lifted in February by the start of a $985 million refinery modernization in Richmond CA. The 3% decline for total construction starts on an unadjusted basis during the first three months of 2017 relative to last year was due to a varied pattern by major sector. Nonbuilding construction dropped 17% year-to-date, with electric utilities/gas plants down 72% while public works climbed 20% (reflecting the start of several large pipeline projects in early 2017). Residential building slipped a modest 1% year-to-date, with multifamily housing down 18% while single family housing grew 9%. Nonresidential building registered a 7% gain year-to-date, with institutional building up 35%, commercial building down 9%, and manufacturing building down 44%. By geography, total construction starts in the first three months of 2017 showed reduced activity relative to last year in two regions – the South Central, down 26%; and the Northeast, down 3%. Total construction gains year-to-date were reported in the West, up 1%; the South Atlantic, up 11%; and the Midwest, up 12%. Further perspective comes from looking at twelve-month moving totals, in this case the twelve months ending March 2017 versus the twelve months ending March 2016. On this basis, total construction starts were up 2%. By major sector, nonbuilding construction decreased 8%, with electric utilities/gas plants down 40% while public works increased 6%. Residential building rose 3%, as a 4% drop for multifamily housing was outweighed by a 7% gain for single family housing. Nonresidential building advanced 7%, with institutional building up 14%, commercial building up 7%, and manufacturing building down 26%. About Dodge Data & Analytics: Dodge Data & Analytics is a technology-driven construction project data, analytics and insights provider. Dodge provides trusted market intelligence that helps construction professionals grow their business, and is redefining and recreating the business tools and processes on which the industry relies. Dodge is creating an integrated platform that unifies and simplifies the design, bid and build process, bringing data on people, projects and products into a single hub for the entire industry, from building product manufacturers to contractors and specialty trades to architects and engineers. The company’s products include Dodge Global Network, Dodge PlanRoom, Dodge PipeLine, Dodge SpecShare, Dodge BuildShare, Dodge MarketShare, and the Sweets family of products. To learn more, visit www.construction.com.